Go to any backpacker cafe or restaurant in Asia and you’ll see someone writing a journal. What they did, what they thought, how they feel. It’s almost a rite of passage among backpackers or, at least, it was. Because either side of the traveller writing into a diary will be travellers tapping away on phones, uploading photos to Facebook and sharing their travels via social media. Why not? 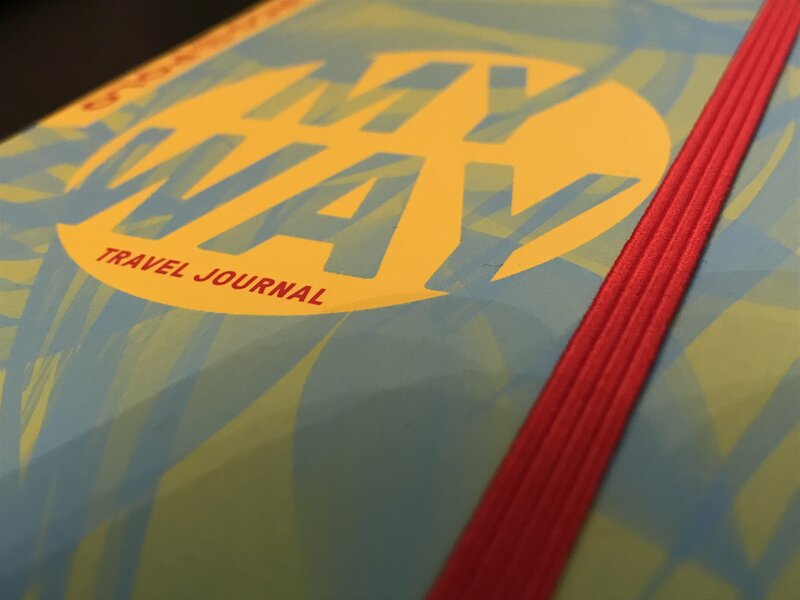 Marco Polo’s My Way travel journal is a novel attempt at bringing back the concept from the clutches of the digital world. Trouble is, what does a travel journal need to be except a stack of paper bound into a book? The MP designers think you need sections and, err, stickers. The ‘before you go’ and ‘on the journey’ section division is a little odd; how does anyone know how much you’ll write in each part? Our guess is that almost nobody begins their travel journal before the journey begins … that would be a pretty strange thing to do. However, the really odd part of the the 160-page My Way concept is emoticons and stickers. Who is really going to insert a sticker saying ‘my most embarrassing moment’ next to a diary entry? Or an ‘My Everything OMG!’ sticker anywhere? It’s all kinda cringeworthy, and the less said about the ‘like’ stickers, the better. However the envelope in the back for train tickets and other paper-based souvenirs is good.